We are living by faith, offering hope, and being known by love. 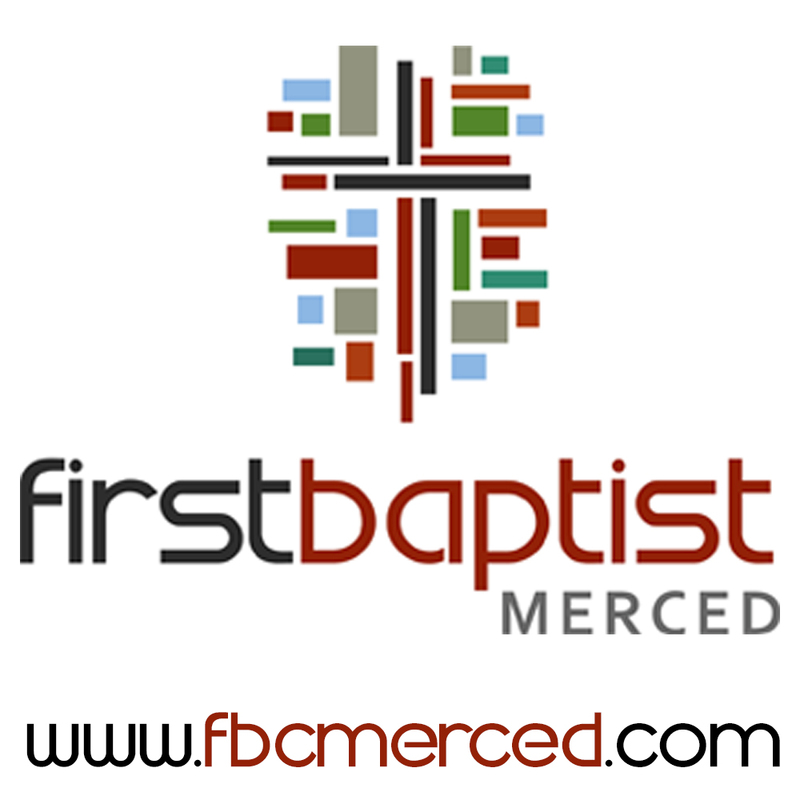 FBC of Merced wants to help you take the next step in your spiritual journey to Jesus. And we can't wait to see your story join ours. We are a non-denominational Christian based church that endeavors to follow the New Testament scriptures. Everyone is welcome to all of our services. We meet Sunday at 10 AM for Bible Class, 11 AM and 6 PM for Worship, and we have a mid-week Bible discussion that meets on Wednesday at 7 PM. We are a bible believing church that teaches and believes in God's word. We believe God sent his son to die for the sins of all mankind and we are to show his love to everyone. Faternal non-profit family oriented group who promote faith activities in our Catholic communities. We are active in several cultural events throughout the country, support our parish, and provide various charities with financial and other support. We believe together we can do more than one can. Come join us for dinner to learn more. We are a small Country Church with a big heart full of Love, We welcome Everyone to come Worship with us, Were gonna Love you like family. We offer a clean and sober Men's home, A Biker Ministry, Celebrate Recovery, Kids Program and have Service on Sundaymorning 9am and Thursday Evening at 7pm. Apostolic Pentecostal Denomination church of the Pentecostal Assemblies of the World, Inc. "we are a church where everybody is somebody and nobody is a stranger"
Calvary Chapel of Merced is a fellowship of people who seek to live lives that are pleasing to God, so we focus on understanding and applying what God has revealed to us through His Word, the Bible. Our dress is casual, but our hearts are earnest. Our worship is simple and contemporary with some hymns from time to time. Our fellowship strives to be as much like a family as we can, accepting one another, loving one another, and encouraging one another to not settle for less than God’s best. We’d love to have you join us in worshiping God! We meet at 1345 East Olive Avenue, Merced. You can also listen to sermons online. … the Bible is the inspired and only infallible and authoritative Word of God. … there is one God, eternally existent in three persons: God the Father, God the Son, and God the Holy Spirit. … in the deity of our Lord Jesus Christ, in His miracles, in His vicarious and atoning death, in His bodily resurrection, in His ascension to the right hand of the Father, in His personal future return to this earth in power and glory. … in the Blessed Hope which is the Rapture of the Church at Christ’s coming. … that Humankind was created in the image of God to know and enjoy Him yet we willfully rejected the Lordship and glory of God for which we were intended. Because of this, sickness, death and judgment entered the world and creation experiences the effects and consequences of sin. … the only means of being cleansed from sin is through repentance and faith in the victorious redemptive work of Christ on the cross which provides freedom from the power of the devil, sin, lies, sickness and torment. … in the sanctifying power of the Holy Spirit, by Whose indwelling the Christian is enabled to live a holy life and super-naturally reverse the original effects of rejecting the Lordship and glory of God. … the baptism of the Holy Spirit according to Acts 1:4-8 and 2:4 is poured out on believers so they have power to be witnesses. This is available by God’s loving grace to all believers. … the Church exists to carry on the ministry of Jesus Christ and further advance His kingdom by applying Christ’s victorious redemptive work on the cross which destroys the works of the devil. We do this by proclaiming the good news of God’s love in word and deed to all nations, baptizing and teaching them to love and obey God. … that Heaven and hell are real places. There will be a resurrection of the saved and the lost, the one to everlasting life and the other to everlasting death. At Central Presbyterian Church, our vision is to know, love and serve Jesus Christ. Sunday morning worship services are at 8:30, 9:50 and 11:00. If you’d like to explore the Christian faith…if you’d like to consider what the grace of Jesus Christ can mean in your life…if you’d like to grow in your faith…if you’d like to be part of a church family that is joyful, real, and positive, then we’d love to have you come and check out what’s happening here. We are a family of Christians who are growing in our relationship with God and who desire to help others grow towards Him. Together, we’re striving to become the kind of congregation described in the Bible – a congregation with relevant teaching, heartfelt worship, honest friendships, constant prayer, and compassion for those in need.Whether you are new to “church” and just starting to ask questions about God or a committed Christian seeking to go deeper in your faith we pray that you will find Creekside as a place where you will feel at home. Sunday Service of Worship: 10:00 a.m.
We are a Church focused on unbelievers and the community. Our core objective is to be an intentional, contagious, and purpose driven church seeking those with hurts, habits, hindrances, and hang-ups. Our Church will always use various methods to reach as many people as possible; without compromising our message about Jesus Christ. Love INC coordinates resources for families and individuals in need of food, toiletries, household items, furniture, clothing, back-to-school supplies, transportation to medical appointments, bedding/linens, diapers, formula and much more. We also provide life skills education classes in money management, soft vocational skills, health & nutrition, community and healthy relationships. We are a small local church in Merced that is friendly and preaches the whole Word of God. We meet at 10:45 am on Sunday morning and at 6:30 pm on Wednesday night. We would love to see you and your family. 1365 E. Alexander Avenue. Merced, Ca. Sunday School for all ages 9:30-10:30am. Worship Sercive 10:45am. Worship is a time of celebration and excitement at New Beginnings Fellowship. We believe that worship should be varied, contemporary, and relevant to all those who attend.Warmth and laughter is a part of the worship experience. We spend time greeting one another, praying for one another, and lifting our voices in songs that express our love, thanks, praise and worship to God. Our worship time is contemporary and you’ll always have the freedom to worship in a way that leads you to God. At each service, you will hear a relevant message from the Bible that will help you to get through the week and beyond. We invite you to come worship with us! Seventh-day Adventists are a faith community rooted in the beliefs described by the Holy Scriptures. Seventh-day Adventists believe that Jesus is one of the three persons, called the Trinity, who make up our one God. The Bible describes Jesus, the Father, and the Holy Spirit as each being committed to our growth as Christians and to our salvation as their children. They made this salvation possible when Jesus came to Bethlehem as a human baby. He lived a life perfectly in accord with God’s will and then died innocently for all of our sins. He was placed in a borrowed tomb, but He came back to life three days later. Now he is in heaven interceding with the Father for us, preparing for our deliverance from sin and death. We are the Orthodox Christian church located in Merced, and serving greater Merced and Atwater in the northern San Joaquin Valley.Our vision statement is “Manifesting the Kingdom of God by Proclaiming & Living the Orthodox Christian Faith.”We are a young mission parish with a big heart, with services every Saturday evening and Sunday morning, plus feast days, Great Lent & Pascha, etc. We are a multi-cultural community with services in English. We are a Pentecostal Church that brings Salvation, Hope, and Miracle Healing through Jesus Christ!